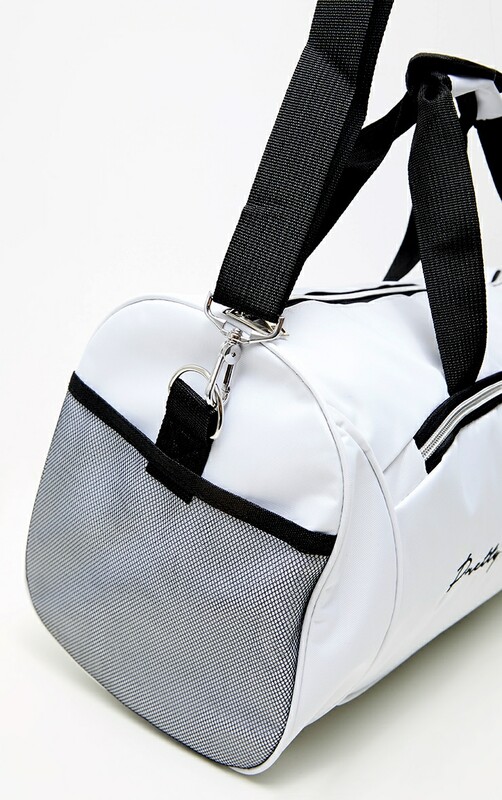 Up your gym game with this must-have gym bag. 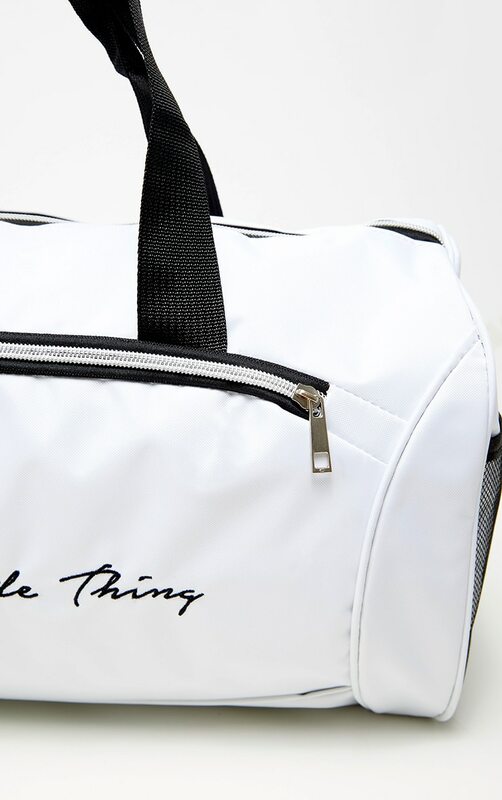 Featuring a white material with a contrasting black PRETTYLITTLETHING logo and multiple zip compartments. 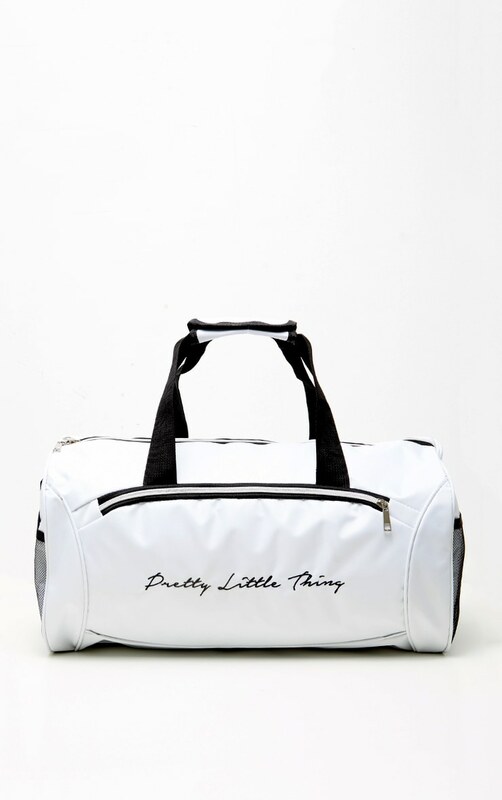 This duffle bag is sure to keep all gym essentials for a look we are loving.